LETO Firewire 4-4 Pin DV Video Cable Cord For Canon ZR10 ZR300/MC ZR830 ZR930 GL1 GL2 by LETO at Andy Pemberton. MPN: 1. Hurry! Limited time offer. Offer valid only while supplies last. 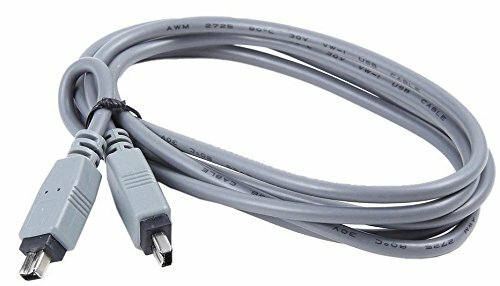 This cable connects your digital camcorder to YOUR Laptop / Notebook and transfer home movie to YOUR NOTEBOOK /LAPTOP computer. Supports IEEE 1394 transfer rates of 100 / 200 / 400 Mbits. If you have any questions about this product by LETO, contact us by completing and submitting the form below. If you are looking for a specif part number, please include it with your message.